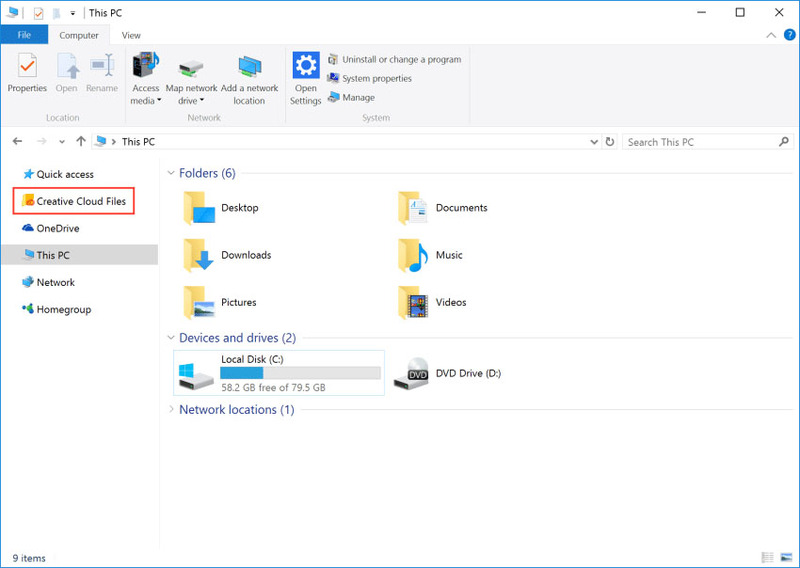 Every Adobe Creative Cloud membership includes a cloud storage account where you can upload files and save them to Adobe’s cloud servers via a folder (like Dropbox) that is added to your Windows user directory. If you don’t want to utilize this service, there’s an option to turn it off in your Adobe Creative Cloud desktop application by going to Preferences > Creative Cloud > Files and unchecking the box next to “Creative Cloud Sync”. You can also delete the local Creative Cloud files folder by navigating to your Windows user directory and right-clicking and deleting it. Annoyingly, even if you turn off the service and delete the local folder, the shortcut to the Creative Cloud files folder remains on your Windows File Explorer. 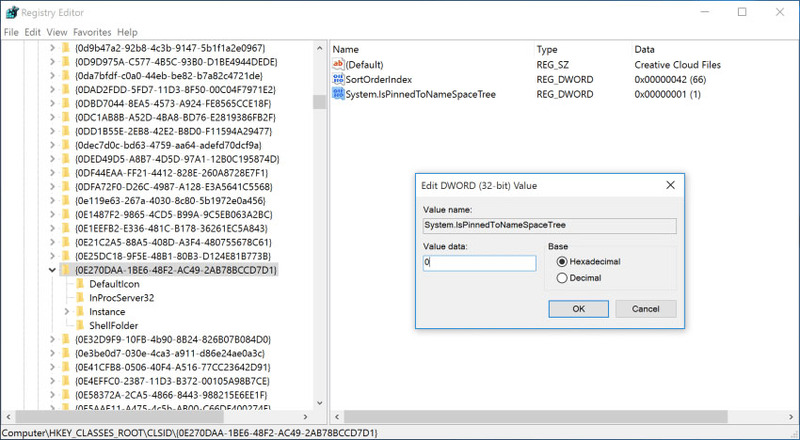 Luckily though, there is a way to remove it for good if you are willing to make a minor edit to the Windows registry. First launch the Registry editor by clicking the Start Menu and typing in “regedit”. Right-click it and run as administrator. Next, we need to locate the registry key. 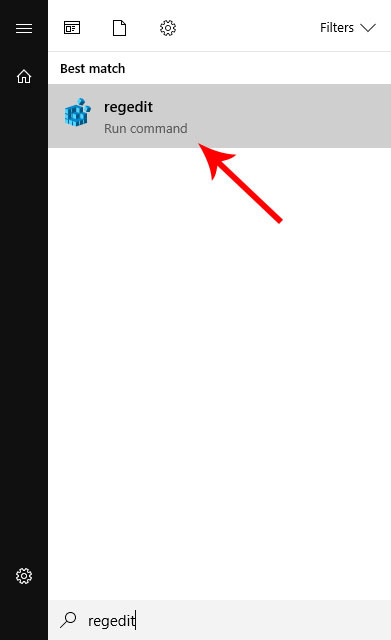 Press Control + F to launch the find window. 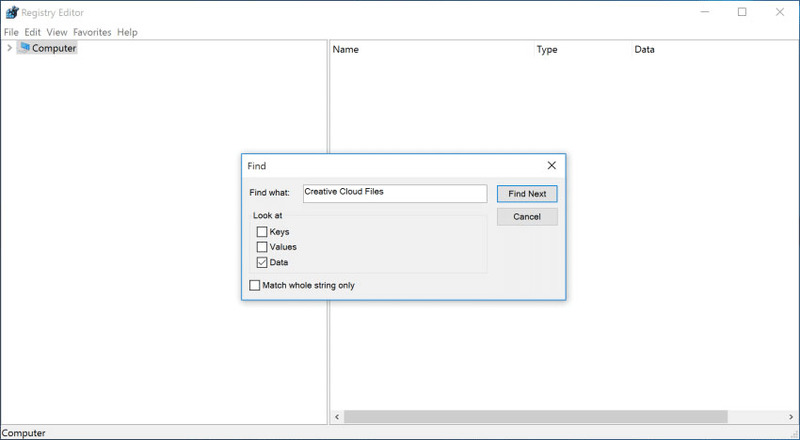 Search for “Creative Cloud Files”, uncheck the Keys and Values boxes and click Find Next. The first result should be within a directory that begins with HKEY_CLASSES_ROOT\CLSID. Below is a screenshot of what it looks like. If you do not see this screen, keep pushing the F3 key until you find it. 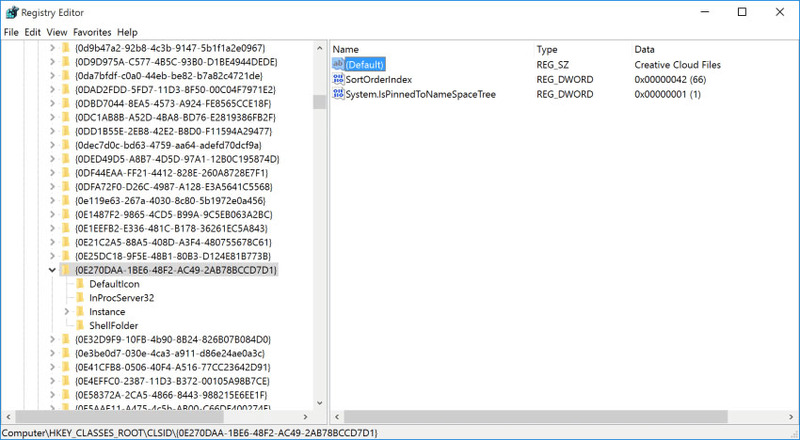 Once you’ve located the directory, look for a DWORD value on the right named System.IsPinnedToNameSpaceTree. Double click it and change the “Value data” from 1 to 0. Finally, click OK to save the new value. Close and relaunch File Explorer and voila, Creative Cloud Files should be hidden. If it’s not and you followed all the prior instructions correctly, your computer may need to be rebooted for the change to take effect.